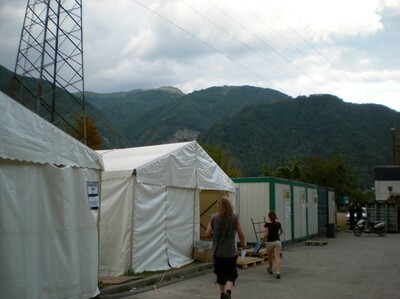 We had a very "easy" travel this time as Sabaton was playing the same festival and took all our gear in their tourbus from Sweden to Slovenia. 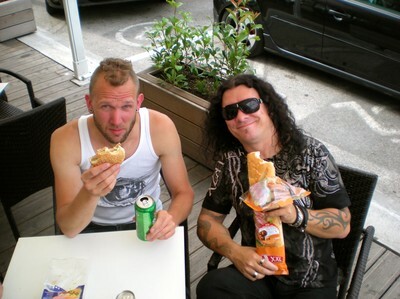 Unfortunately their tourbus broke down (again), and they had to leave it in the mountains of Slovenia. 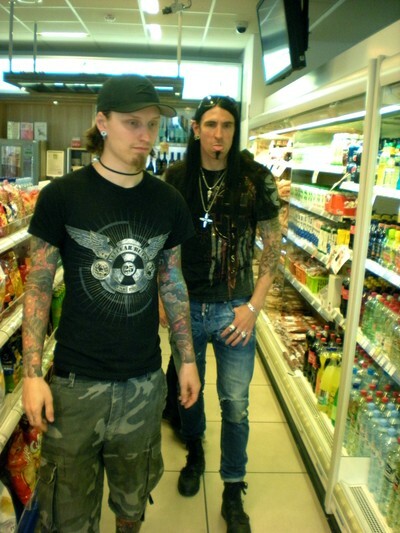 So we had to bring our gear back to Sweden by ourselves. 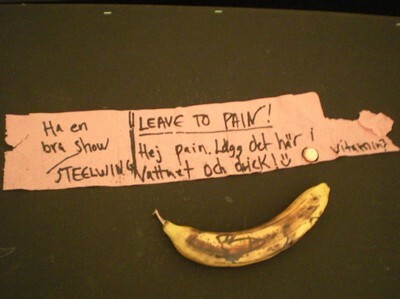 I feel really sorry for them, especially as they had 1100km to the next show. 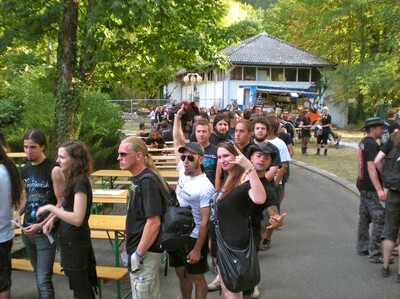 Anyway, we started our endeavours at Metal Camp this time with a signing session. 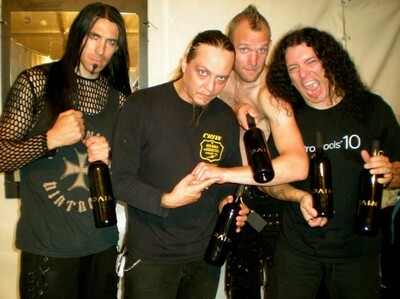 Then we headed back to our backstage, found a message from Steelwing, and checked out the alcohol stash and found out that the festival had given us a Vodka called "Skandal". 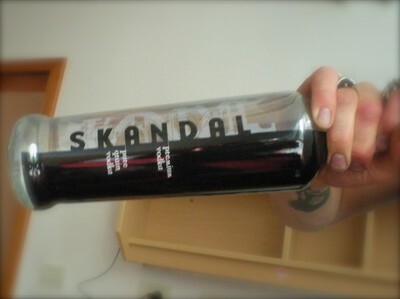 In Swedish, this word means scandal and it felt like a joke that they gave this Vodka to this band. But we also got a whole box of fine PAIN wine bottles! After Sodom had finished their show we finally enetered the stage around 21:15. The show was stunning. about 15.000-20.000 loud fans giving us their very best, perfect weather, best conditions and everything just worked perfectly. We had a very good time laughing ourselves throughout the whole show. Maybe it was also the feeling of the last festival this year, but i'd say it was also Slovenia itself who gave us this warm and great feeling! 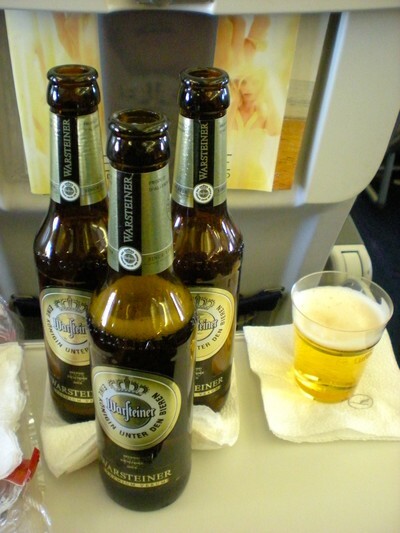 Up until this point, it had been a great day, but now the problems where kicking in. The second last song was "On and On", and i got this crazy idea to jump off the stage and run around in front of the security barrier during this song after the second chorus. I have no idea why i did this, but at the time it happened it felt like a good idea. Sometimes i have this feeling when i play bigger festivals that it is a bit "too big" and the audience is too far away from us. By doing this i came closer to the audience. In front of the stage, between the stage and the security barriers, it was platforms where some photographers had been during the first three songs. When i jumped down from the stage to this platform it didn't look that high, but when i landed i heard a crack in my left foot (actually in a toe) and it felt a bit strange, like the toe was poiting in the wrong direction. I didn't take any more notice right then, but when we got coser to the last chorus i realised that i need to get back up there and saw that the stage was about 2-3 meatres high and impossible to climb up again. That was also when i realise i had made a jump too high... So i ran around the stage to the backside, up on the ramp, through the crew that was standing right on the side of the stage and managed to get back to my microphone to sing the last line of the last chorus. It felt like i had saved the situation and thought everything was fine. It was only one song left and now i started to think about the fact that the toe on my left foot were feeling more and more strange while we kicked off the last song "Shut your mouth". After the show when i took off my shoes backstage i saw that i had a toe on my left foot that was not okay. I had probably landed wrong when i jumped down 2-3 metres from the stage, and broke a toe. Smart guy... NOT!!! We saw a few songs of Sabaton and then started a party backstage. Then we left to our hotel somehwre up in the mountains, and now i started to feel the pain in my toe. I got more and more angry at myself, being so clumsy and stupid! You cam imagine the other guys teasing me all night long for my lameness, comparing me to what Toby in Exodus did when he fell off the stage... At the hotel David came up with the stupid idea to start a wrestling game in the hotel corridor in the middle of the night... David invited Emanuel for a MMA game. Me and Johan were laughing so much our tears were falling down our cheeks. Roulette-style luggage belt in Venice! 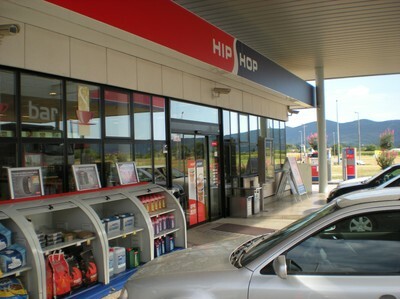 ...the store was called HIP HOP. Very funny. 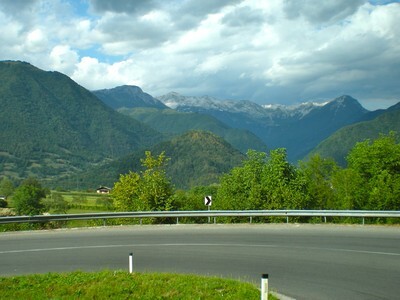 Stunning surroundings in the Slovenian mountains! 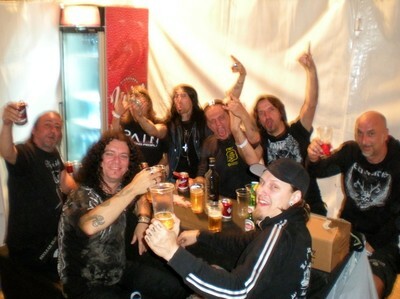 Get the party started backstage with Nuclear Blast!